May 4, 2017, Burlington, Ontario - Burlington Hotels Group Inc., a Burlington, Ontario-based company, has announced the ground breaking of the new Courtyard by Marriott Hotel, located at 1110 Burloak Drive. Conveniently connected to the 25,000 sq. ft. Burlington Convention Centre with an outdoor link, this new hotel will offer 135 guestrooms and suites with a Bistro Plus Restaurant & Bar, serving breakfast, lunch, dinner and beverage services including Starbucks Coffee. The $22,5M six-storey hotel will have fully equipped fitness room, indoor swimming pool, exterior courtyard, business centre, 1,800 sq. ft. of meeting and banquet space, and an Energy Efficiency Program including in-house recycling. The hotel will be opening in Summer 2018. “With this exciting Courtyard by Marriott project, we will be offering one of the world’s leading hotel brands to the Burlington, Oakville and QEW corridor, consisting of upscale facilities, impeccable accommodations, excellent culinary experiences, and professional and friendly service with a European flair,” said Frank Vismeg, Managing Director. 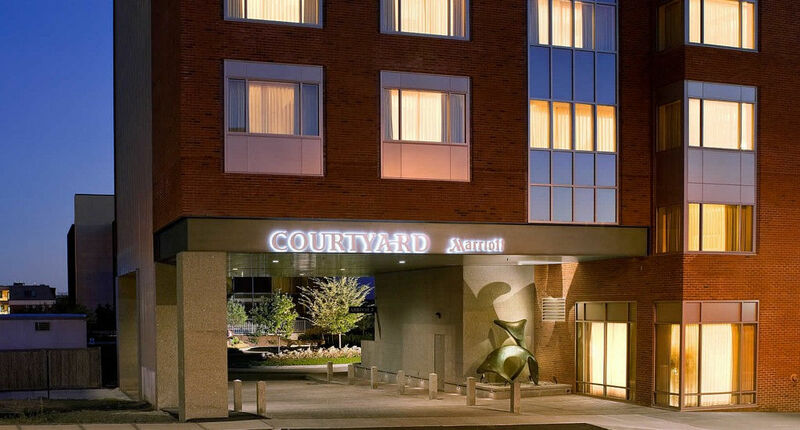 “We are very proud to be the first to bring the very successful Courtyard by Marriott brand to the Burlington/Oakville area and to finally meet the extraordinary demand for a first-rate hotel next to the Burlington Convention Centre,” said Jack Moreira, Owner of Burlington Convention Centre, and President of the Burlington Hotels Group Inc. and Burloak Hospitality Management Ltd. “The construction of the hotel will be undertaken by TriAxis Construction Limited, a well-respected construction management firm with over 25 years of experience and expertise in the industry. 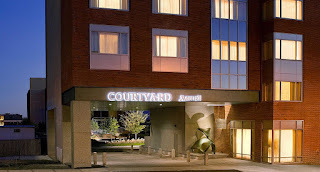 “As Development and Construction Manager for the hotel, our professional and committed team will ensure that every aspect of the hotel is built to the highest quality and with utmost attention to detail, to meet or exceed the highest standards set by Marriott,” said Domenic Fuda, President of TriAxis Construction Limited and an equity partner in Burlington Hotels Group Inc.